January 22, 2007 Satellite image of the Nebraska-Kansas region. The city of Lincoln and Omaha show up as a gray area due to the many streets and parking lots that are snow free. The Platte River can be seen as well as some of the open reservoirs in Nebraska and Kansas. 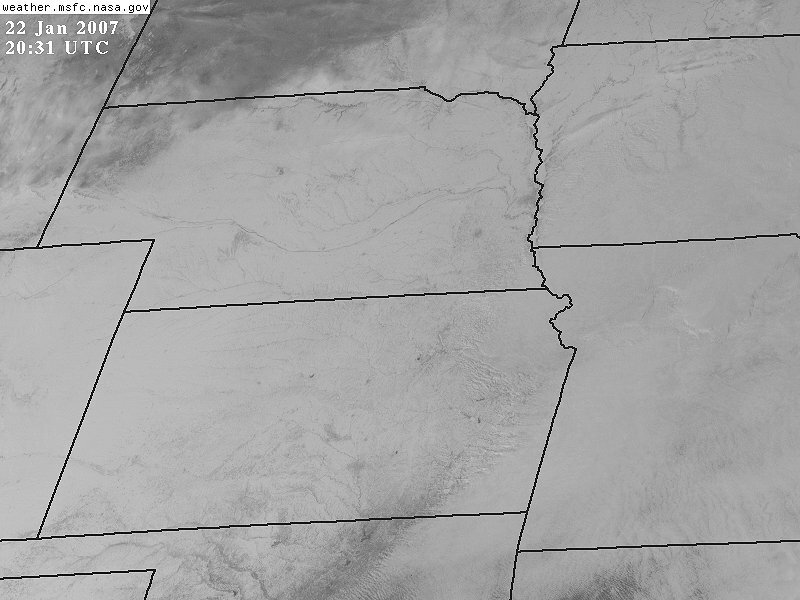 Note the northwest edge of the snow cover is in the Panhandle of Nebraska and central South Dakota. 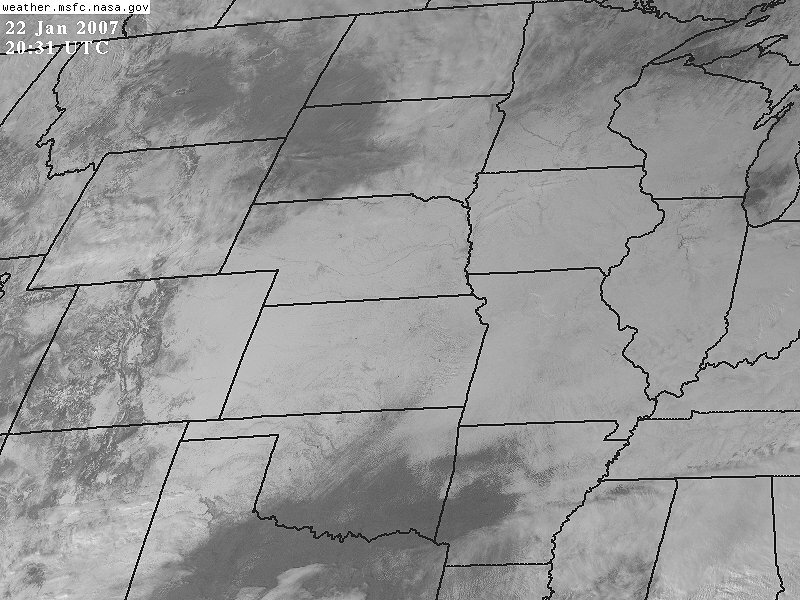 The southern edge of the snow cover stretches from the Texas Panhandle to northern Arkansas.